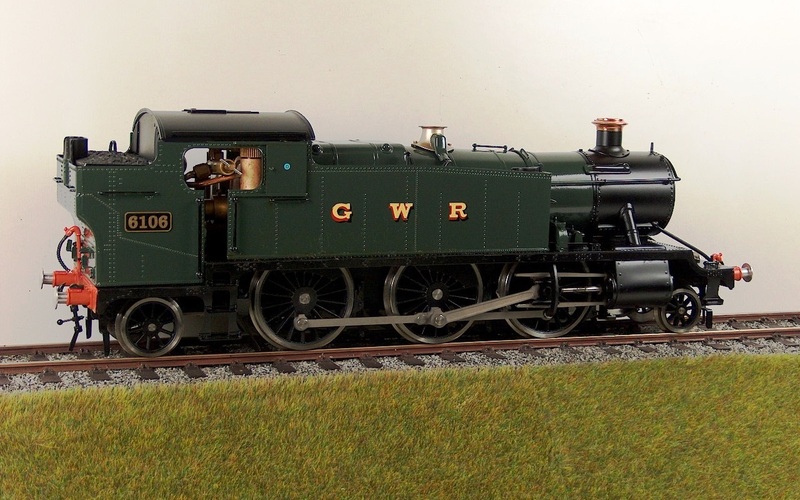 The Great Western Railway’s 61XX 2-6-2T design can trace its origins to Churchward’s ground-breaking family of designs produced at the start of the 20th century which included the large ‘prairie’ tank engine number 99. 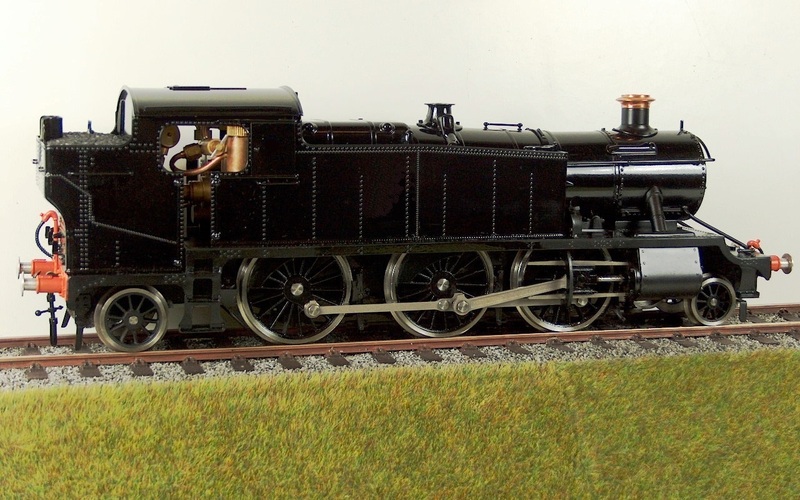 Ideally suited for suburban and branch line work, thirty-nine more locomotives based on this design were in traffic by 1906 and batches continued to be produced until the class numbered 290. The first forty (including No. 3100, the renumbered prototype) were absorbed into the 51XX series in the 1927 re-numbering scheme, the additional members of which enjoyed small design improvements under Charles Collett’s supervision. Having used all the 51XX numbers, further locos were numbered in the 41XX series. The 61XX variant was introduced in 1931 and was little different from the others apart from boasting a boiler pressure increased to 225psi. A number of 51XX and 41XX examples have been preserved but only No. 6106 was saved from the last batch and this can be found at Didcot, home of the Great Western Society. 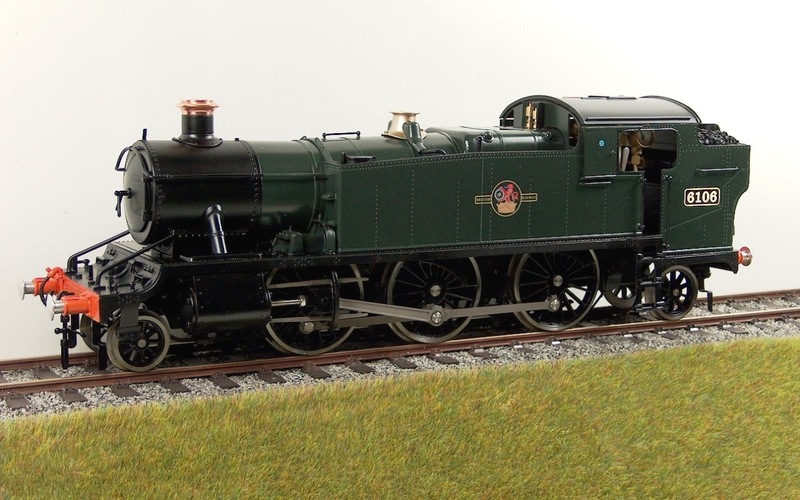 The model is 1:32 scale for 45mm gauge track, gas-fired and has all the features the Gauge 1 fraternity have come to expect from an Accucraft locomotive. The chassis is constructed from stainless steel, the wheels are uninsulated. 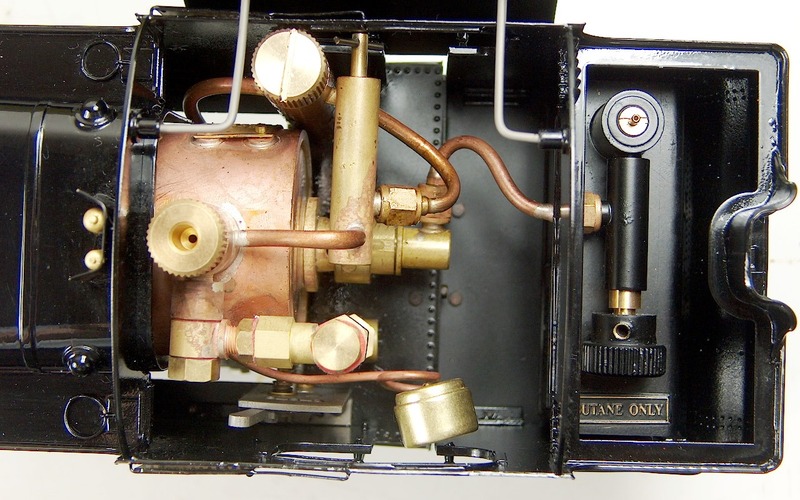 The boiler is copper, the cab and bodywork are constructed from etched brass. 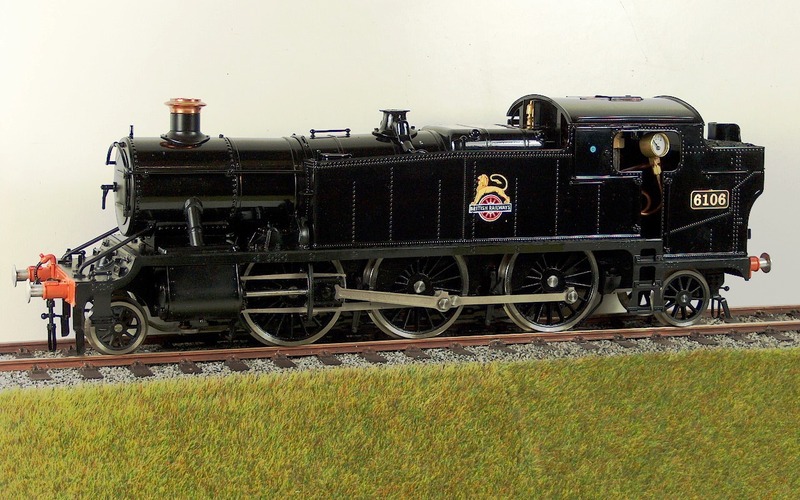 Like other fine scale models from Accucraft, it will provide many years of enjoyment. The model will run round 4′ 6″ radius curves and is happy on code 332 or code 250 tracks, however, we do not recommend running through LGB code 332 pointwork. 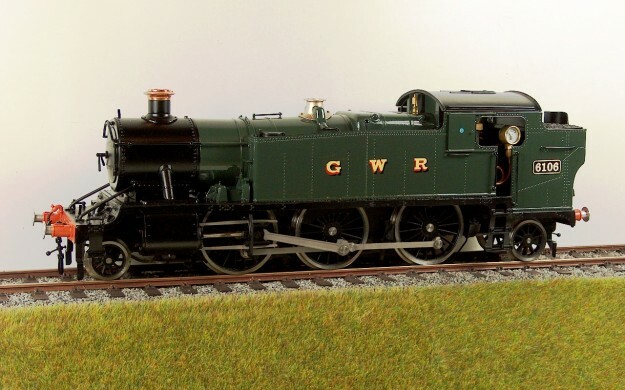 We are aware that there were a large number of livery variations among members of the class and will therefore be offering fully finished and basic models to allow almost any version to be produced from 41XX, 51XX or 61XX classes.